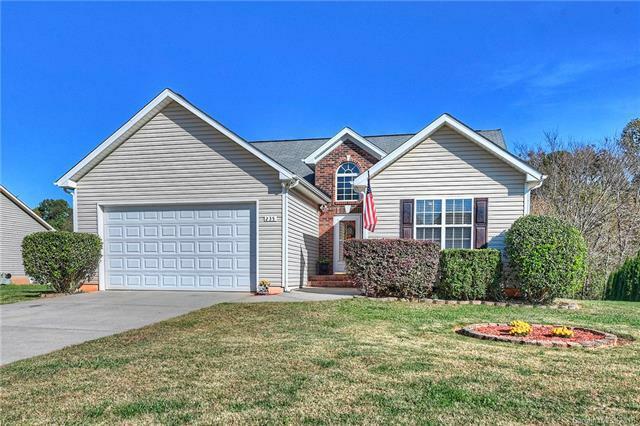 Adorable ranch home - great location sitting on approximately .61 acre a cul-de-sac lot with no HOA and lower Iredell County Taxes! Offering a split 3 bedroom floorplan updated with new laminate wood flooring, a sunken great room with vaulted ceilings, gas fireplace and a sunroom overlooking a large level backyard. The master suite offers tray ceilings, spacious master bath and large walk-in closet. The kitchen is very spacious offering Corian countertops and tile floors with an eat-in dining area. Close to Harris Teeter, restaurants, shopping! Offered by Gw Estates And Homes, Inc. Copyright 2019 Carolina Multiple Listing Services. All rights reserved.